SUMMER SCHOOLS 2018 WAITING LIST for CNIO and Future Digital Leaders places – To join our waiting list, fill out the form. 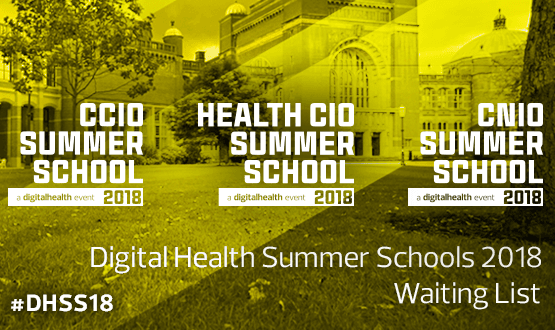 Digital Health Summer Schools have become firmly established as the essential digital health leadership event of the year, focused on collaboration, practical best practice sessions and site visits and essential knowledge exchange. Attended by over 400 digital NHS leaders from across the UK and Irish health and care systems, the three, two-day residential Summer Schools will have both dedicated tracks and share site visits, a networking dinner and interactive workshops. Together they will provide a unique environment to network and collaborate and is the year’s most important gathering of NHS IT leaders. 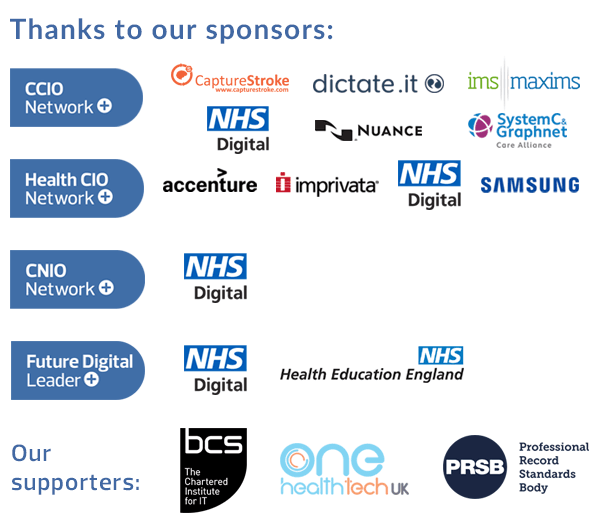 If you want to learn from your peers, help shape the future direction of NHS IT and it’s networking and develops personally as a digital health leader, register now to attend the key event of 2018. Summer schools nursing and Allied Health Professional first timers can attend for free of charge. Audience: The Summer Schools are exclusive to members of the CCIO/CIO and CNIO Networks. If you are a Health CIO, CCIO or CNIO looking to learn more about your field of expertise, are interested in meeting national NHS IT leaders from organisations such as NHS Digital and NHS England, this is the event for you. NHS Hack Day – The Summer Schools Hack Day will bring current NHS digital leaders and their development teams together with digital health innovators and disruptors to test and prove new ideas, develop working prototypes and create solutions to some of the NHS’ most pressing issues. Projects developed at the Hackday will be presented back on day one of the main Summer Schools and delegates will have a chance to meet the teams. We’re encouraging CCIOs, CIOs and CNIOs & AHPs to sign-up and bring their development teams with them and come and take part in helping to disrupt the future of digital health. We want to make sure that the Summer Schools are a great experience for all attendees, both past and new attendees. Join the Digital Health team for our pre-conference networking and orientation session. Get to know the people you will be spending the next few days with and learn what the summer schools are all about. 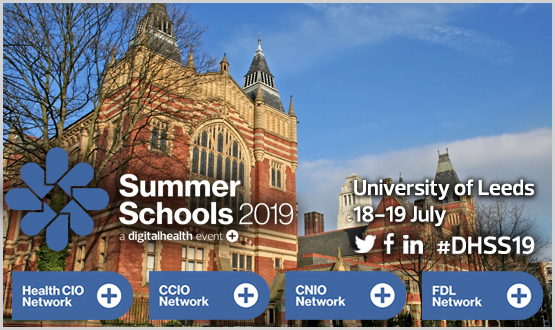 The Summer Schools kick off with introductions, keynote presentations, dedicated CCIO, CIO, Nursing and Allied Health Professionals session streams and networking opportunities. These will be followed by an afternoon choice a series if site visits to one of Birmingham’s surrounding NHS trusts or collaboration sessions. You can take a look through and start practising!!! For 2018 we’ll also be launching the new CCIO/CIO/CNIO & AHP Network Awards and Hack Day presentations. Day two sees the focus shift to collaboration and best practice sessions from network members, including the infamous quick fire 7 in 70 sessions, helping you get to the heart of what matters to you. You can download the programme for the 2018 Summer Schools here. What counts as evidence that a digital health solution is good? Should we feel that innovation is stifled by evidence-based thinking? What should your business case include to provide independent evaluation, not merely “benefits realisation”? We all recognize there are major problems with health IT usability, unintended consequences, safety and workflow. This workshop will discuss how we can cultivate a learning environment where practitioners and academics routinely collaborate on best practice evaluation that delivers both innovation and evidence. We invite attendees to tell us in advance about current projects where you need evaluation, so that we can tailor the workshop discussion to real world requirements. You can also download the pre-reading for one of the Day 2 tracks; Innovation or Evidence: Why can’t we have both? Exclusively for the Summer Schools 2018 delegates, the Space Descent bus will come to Birmingham University on the 19 and 20 July 2018. 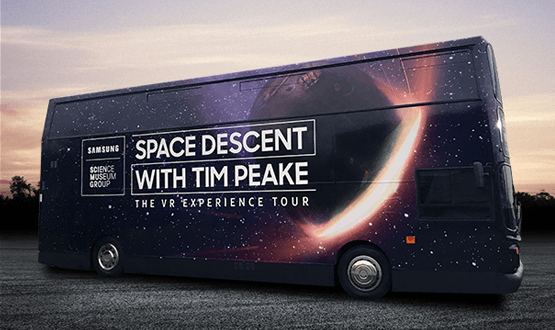 Experience the Space Descent with Tim Peake tour – a partnership between Samsung and Science Museum Group. This unique experience brings to life the excitement and learnings from Tim Peake’s 2015 – 2016 space mission in the unique format of a double-decker bus. The bus has been custom designed to replicate the International Space Station (ISS) and allows visitors to enjoy various aspects, including; space training and games, augmented reality Suit Up, ISS observatory window replica and a 12 minute 360 degree virtual reality experience showcasing Tim Peake’s descent back to Earth. The Space Descent will be parked in front of the Great Hall entrance. The experience lasts 40 approx. minutes – pre-booking required. Visit https://www.sciencemuseum.org.uk/see-and-do/space-descent-vr-tim-peake for more details. 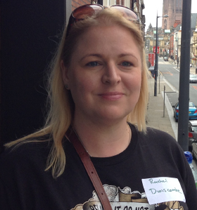 Rachel is Director of Digital for Salford Royal Group/Northern Care Alliance, CEO of the NHS Digital Academy, a member of KLAS advisory board, SRO for GM interoperability solution and Chair of the HIMSS UK Advisory Board. She has extensive experience of implementing successful technologies in healthcare, consumer and financial markets. Rachel is no. 3 CIO in the CIO 100 2017 (all markets) and won the most disruptive CIO in Europe 2016 in the Talent unleashed awards. Anne Cooper is a registered nurse and until May 2018, Chief Nurse at NHS Digital. Anne has worked nationally in the field of health informatics for more than a decade having experience of system evaluation and design, business requirement definition, clinical safety and holds citizen and user engagement to be critical factors in the digital agenda. She remains active in informatics is a member of the RCN e-Health Forum and through her extensive network. 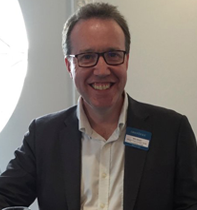 David Rew is a Consultant Surgeon at University Hospital Southampton, where he also leads an informal advanced projects group in clinical data visualisation for the UHS Global Digital Exemplar programme. 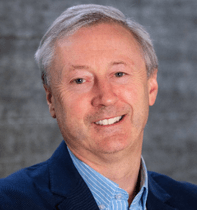 He is also a member of the Strategic Advisory Team for Healthcare Technologies for the UK Engineering & Physical Sciences Research Council, and a Visiting Professor to the School of Information Technology at Southampton Solent University. 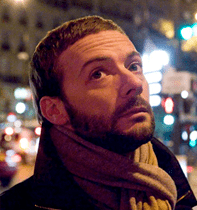 Since 2009, his team have developed a 1990s concept interface from Ben Shneiderman’s Human Computer Interaction Lab at the University of Washington, Lifelines, into a fully operational system at UHS. Cleveland has a foot in both the current and the future of digital health camps having recently commenced NHS Digital’s horizon scanning in assessing digital future opportunities and their potential links to supporting today’s challenges and opportunities. From 2016 he has led the Digital Collaboration Service (NHSmail2) which replaced the legacy platform. The service is used by c.1million users across Health and Care providing secure email and additional digital collaboration capability, the use of collaborations tools such as instant messaging, group collaboration are a significant area of interest as he recommends to future platform post NHSmail2. 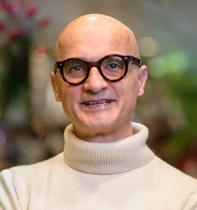 Dr. Ali Parsa (PhD), is a British-Iranian Healthcare Entrepreneur and Engineer as well as Founder and CEO of the pioneering artificial intelligence and digital health company, Babylon, whose mission is to to put an accessible and affordable health service in the hands of every person on earth. Dr Parsa was recently named by The Times among its ‘100 global people to watch’; made the Health Service Journal’s list of ‘the 100 most influential people in UK healthcare’; and was featured in the Maserati 100 list showcasing great British entrepreneurs who are challenging the established players. 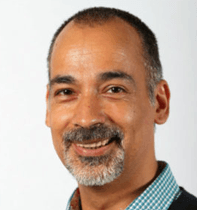 Mark Sujan, PhD, is Associate Professor of Patient Safety at the University of Warwick, UK. He has more than 20 years of experience developing, applying and teaching human factors and safety engineering methods in both safety-critical industries and healthcare. His current research interests are Resilient Health Care / Safety-II and safety assurance of digital health technologies. Dr Sujan is course director of the MSc Health Sciences at Warwick Medical School. 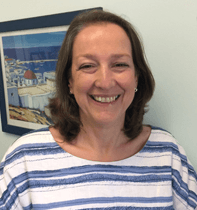 Mona Johnson is the senior responsible clinician across the self-care programmes in NHS Digital: A portfolio that covers health and service information on NHS.UK, the NHS Apps Library and its underpinning assessment service, Care Identity, Personal Health Records and NHS WiFi. Mona is also a practising GP in Greater Manchester. 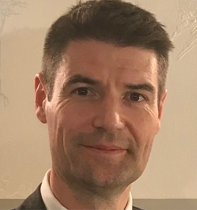 Niels Peek is Professor of Health Informatics at the University of Manchester, and director of the Greater Manchester Connected Health City, which is part of the £20M “Health North” investment to establish a learning health system in the North of England. His research focuses on data-driven methods for health research, clinical decision making, and healthcare quality improvement. 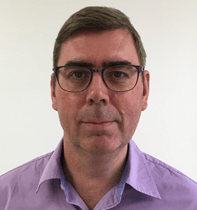 He also leads the Safety Informatics theme in the NIHR Greater Manchester Patient Safety Translational Research Centre, and the Informatics and Data Science cross-cutting theme in the NIHR Manchester Biomedical Research Centre. 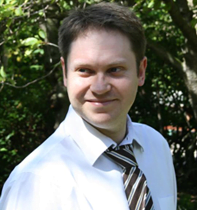 James works as Chief Information Officer for Health Education England where he is responsible for describing and implementing the strategic direction for information and technology for the organisation. He is passionate about digital literacy and the professionalism of Health Informaticians across the health and care system. In this capacity he is programme director for the Building a Digital Ready Workforce programme as part of the NIB Paperless 2020 programme. 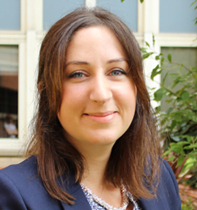 Ayesha is a Consultant Perinatal Psychiatrist. 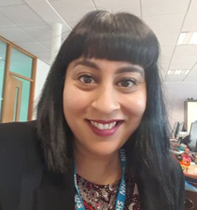 She was appointed as CCIO and Deputy Medical Director at Lancashire Care NHS Foundation Trust in August 2017 and is a member of the first cohort of the Digital Academy (though she’s definitely not the Secret Blogger, honest). 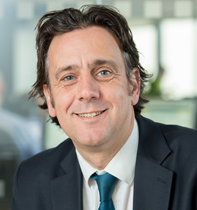 Paul moved to Wirral University Teaching Hospital from his role as Managing Director of a health informatics consultancy in December 2016. 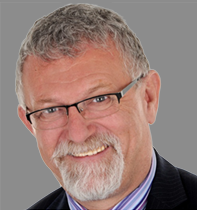 He has more than 35 years’ experience in health care informatics having worked in top roles at the National Programme for IT and Cheshire and Merseyside Strategic Health Authority. He also worked for 5 years for Hamad Medical Corporation in Qatar leading their strategic Informatics programme. 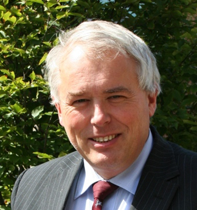 He has been at Wirral before, as he was formerly Director of Health Care Informatics and Wirral Health Informatics Service in the 1990’s and 2000’s. Jo works at Nuffield Health, a not-for-profit healthcare organisation which combines services across hospitals, health clinics, fitness and wellbeing gyms and diagnostic units to provide a wide range of clinical services into one complete health and wellbeing service. 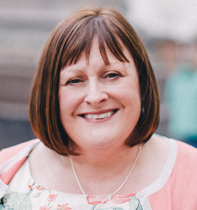 Jo’s role is to provide clinical leadership across Informatics programmes, working with clinical and non-clinical colleagues to provide safe, effective and caring services for patients and consumers. The organisation is currently in the midst of significant technology enabled change, and has recently implemented Intersystems Trakcare, as an Electronic Health Record (EHR) into its Bristol Hospital. TrakCare will now be implemented across all Nuffield Hospitals. Dr Masood Nazir qualified as a doctor in 1997 and moved into general practice in 2001. 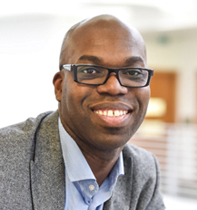 As a GP in Birmingham with over 16 years of experience, he remains passionate about improving services for patients and making it easier for colleagues to deliver healthcare. Masood is the Executive Managing Partner for largest single site practice in Birmingham, looking after 26,000 registered patients. 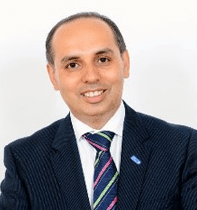 Masood is motivated and highly successful in influencing policy and holds a highly influential role within NHS England as National Clinical Lead for the Digital Transformation of General Practice. 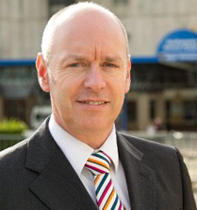 During his career so far, he has delivered large scale transformational projects such as the Patient on-line programme across the whole of England. 15 years or so pursuing a strategy for electronic patient records through integration and evolution. The aim is a seamless user experience with full decision support and data sharing. This is a challenge for integration. Very interested in direct patient to secondary care interaction via secure web and messaging, and developed a platform at UHS called My Medical Record that is used by a number of NHS organizations. Patients are now benefiting from reduction in unnecessary appointments, and can communicate directly with clinicians. Surely a federated identity for a patient is the future, as opposed to the many individual web sites that are springing up? 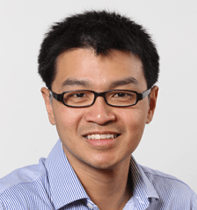 Dr Wai Keong Wong is a Consultant Haematologist and Chief Research Information Officer at UCLH. 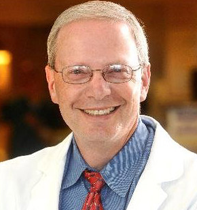 He is responsible for delivering an infrastructure to support the running of clinical trials, making available routinely collected clinical data for research and identifying opportunities for using electronic health record systems as a form of intervention to improve outcomes. He is the co-founder of the Interoperability Education Summit and the inaugural chair of the CCIO leaders network. In 2016 he was a core member of highly influential the ‘Wachter’ review into the state of NHS digitisation in secondary care. 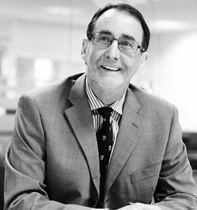 Dr Peter Short is a former GP principal in Buxton, Derbyshire who now works as a salaried/locum doctor, having qualified in Birmingham in 1983. 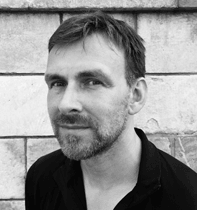 Peter is lead clinician in the Domain of Primary and Social Care Technology at NHS Digital, and a former deputy Caldicott Guardian for the same organisation from April to December 2016. He was previously directorate professional lead at HSCIC with responsibility for Information & Analytics and Provider Support & Innovation directorates for 3 days a week. Dr Mark Simpson, ED Consultant for 15 years with 6 years of Chief Clinical Information Officer, Trust Clinical Safety Officer, culminating in recent appointment to become the Trust Digital Director. With the local Trust implementing DXC Lorenzo electronic patient record in 2015, I became more involved as National Chair Lorenzo User group of Trusts and Board member for NHS Oversight Board. Aligned to this blend of clinical, managerial and executive directorial roles is the clinical advisor role with Professional Record Standards Board delivering a clinical and user perspective to the craft of standards development. 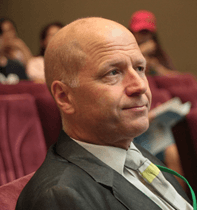 Nick Hardiker is Professor of Nursing and Health Informatics and Associate Dean (Research & Enterprise) at the University of Huddersfield School of Human & Health Sciences in England. Nick has a background in Nursing and has Bachelors, Masters and Doctoral degrees in Computer Science from the University of Manchester. He has nearly 25 years’ experience of theoretical and applied research in Health Informatics, with a particular focus on Health Records and Terminologies. 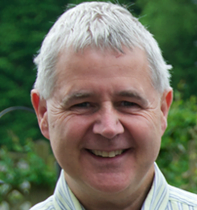 Dr John Parry qualified from Cambridge University and has been a General Practitioner in the NHS for 32 years. In addition he has worked in out of hours medicine, oncology, palliative care and information governance. He commissioned TPP to deliver a remotely hosted single instance electronic health record in 1998, and has worked with the company since then, becoming the Clinical Director for the last thirteen years. His interests include clinical safety, the sharing of the electronic patient record to support best practice, information governance, big data research and the structure of electronic clinical records. Media platform specialist (BBC, Wired, Telegraph), data science and data compliance consultant (Curation, Impress). Jane Hayward is Director of Transformation and Improvement at University Hospital Southampton Foundation Trust. In recent years UHSFT has been rated as Good by the CQC, has met its financial control totals, is in the top 5 acute Trusts on staff survey results, has been recognised as a Global Digital Exemplar and is part of the Wessex LAHCRE bid. 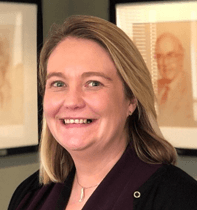 In her role she is responsible for the digital agenda, the strategy and development of capital plans, contracting with commissioners, quality improvement, cost improvement and development of Partnerships with the NHS and other partners. Jane has 31 years’ experience in the NHS and has been in Southampton for the last 18 having started her career in London. Martin Curley is Chief Information Officer of the Irish Health Services Executive (HSE) and CEO of eHealth Ireland enabling the digital transformation of Ireland’s health service. Most recently, he was Senior Vice President and group head for Global Digital Practice at Mastercard. Previously Martin was Vice President at Intel Corporation and Director/GM of Intel Labs Europe, Intel’s network of more than 50 research labs which he help grow across the European region. He also served as a Senior Principal Engineer at Intel Labs Europe leading Intel’s research and innovation engagement with the European Commission and the broader European Union research ecosystem. Prior to this, Curley was Global Director of IT Innovation and Director of IT Strategy and Technology at Intel. Standard CNIO 2 day package – free for all nurses and AHPs (places are limited) £ 50.00 refundable deposit. If you do not attend the conference you will forfeit your deposit. First time CIO 2 day package (application for place) (places are limited) £50.00 refundable deposit. If you do not attend the conference you will forfeit your deposit. First time CCIO 2 day package (application for place) (places are limited) £50.00 refundable deposit. If you do not attend the conference you will forfeit your deposit. First time future digital leader 2 day package (application for place) (places are limited) £50.00 refundable deposit. If you do not attend the conference you will forfeit your deposit. SUMMER SCHOOLS 2018 WAITING LIST – To join our waiting list, fill out the form. PLEASE NOTE ONLY MEMBERS OF THE NETWORKS ARE ELIGIBLE TO ATTEND. IF YOU ARE NOT A MEMBER YET, WE WILL REQUEST YOU TO JOIN BEFORE THE EVENT DATE. If you have an idea for a workshop or want to deliver a quick-fire Six in Sixty presentations at the Summer Schools and would like the opportunity to share it, please email fabiana@digitalhealth.net with the session title and an overview. We will then be in touch to let you know if we would like to showcase your work. The new ‘Future Digital Leaders’ Summer School for all aspiring NHS digital leaders, ranging from recent informatics graduates to future CIOs, CCIOs and CNIOs, plus transformation and service redesign leads. Attendees will gain an opportunity to learn from current CIOs and CCIOS, alumni of the graduate informatics training scheme and better understand career development paths are available. The new Future Digital Leaders Summer School is being delivered in partnership with the NHS Graduate Trainee Informatics Programme, managed by the University of Manchester and University College London, with support from BCS Health and Care. Rooms are available as single occupancy, with modern en-suite shower facilities. 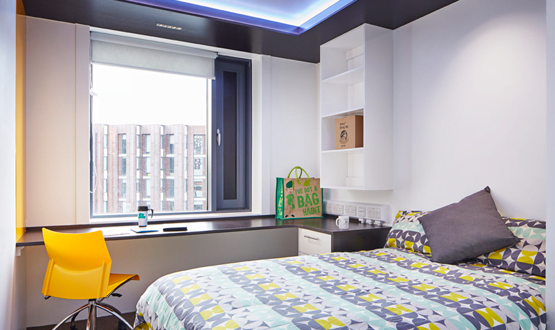 You will be housed in the newly built The Vale Village – Chamberlain Tower (Chamberlain, 37 Church Road, Birmingham, B15 3AS), which is within a 25-minute walking distance to the main University venue. Further details will be sent closer to the event. Extra accommodation – not included in the ticket price. Please note the extra accommodations are available to book only until Wednesday 27 June. After this date, you will need to find an alternative accommodation. Please note that if you will be arriving on the 18th July, or if you want to stay one more night (20th July), or if you plan to attend the NHS Hack day and you want to reach Birmingham the day before it starts, you will need to book and pay for your extra accommodation/s. Please click here to book and pay directly with the Birmingham University. Please note if you are trying to book using a computer linked to the NHS system, you might not be able to open the link. Try to book using your phone or another device not linked to the NHS system. Please contact Birmingham University also for requesting an invoice or enquiry about payment methods for the extra accommodation/s. If you cancel your place at the Summer Schools, remember to cancel your extra accommodation too. If you book the extra night, we will make sure you keep the same room for the all length of your stay. Please drive to the University East Gate on the Edgbaston Park Road to arrive at the Chancellors Court. Complimentary parking permits can be provided on the day. Alternatively, the North East Car Park (access via Pritchatts Road) satnav Postcode B15 2SA. 5-8 hours parking is £6.00, During evenings and at weekends, free parking is also available in the car parks and bays around the University, accessible via the University’s East Gate (off Edgbaston Park Road). There are plenty of parking bays for disabled visitors. Please contact a member of the team for any other special requirements or for any questions regarding travelling to your event. 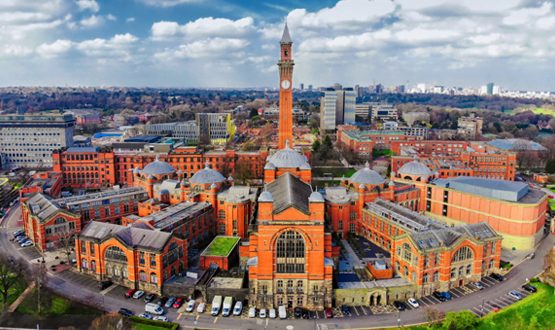 Birmingham University is the only UK university to have its own railway station on campus, known as ‘University Station’. University Station is only two stops from Birmingham New Street and the journey between the University and Birmingham New Street takes approximately eight minutes. You can either get all the way to the University Station, or you can get off in Birmingham New Street and take a taxi from there: it takes 15 minutes and it costs – Uber- £5-7. Post code to East Gate is B15 2TT. By plane: Birmingham International aiport is connected to Birmingham International Station and the free ‘Air-Rail Link’ monorail system. For more information, please visit the website. For all timetable information visit National Rail Enquiries. Download pdf’s for the venue. How to pre-book a workshop or a site visit? Please note all places are on a first come, first served basis.